What a brilliant show on Sunday 18th May! 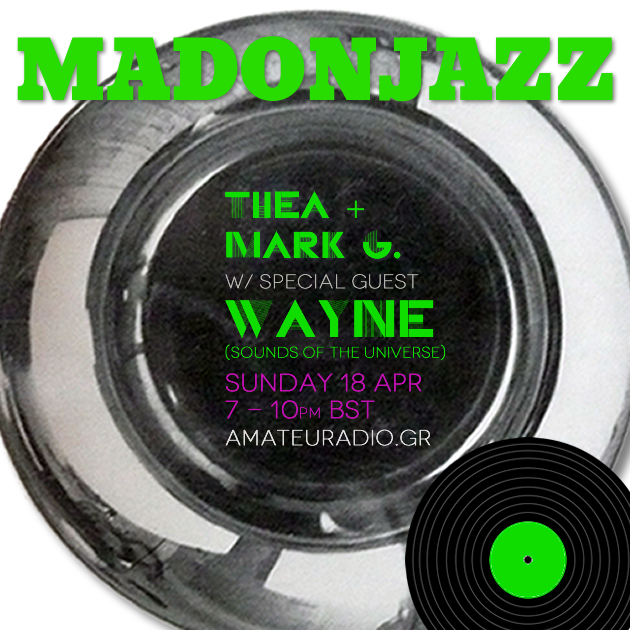 A special MADONJAZZ with guest Wayne (Sounds of the Universe) diggin’ through his private vinyl collection full of rare jazz gems! Wayne has been an jazz vinyl collector for over 35 years! You’ll find him at the original vinyl section at Sounds of the Universe in Soho. The show – vinyl only – includes an 1hr exclusive deep spiritual jazz mix – enjoy!